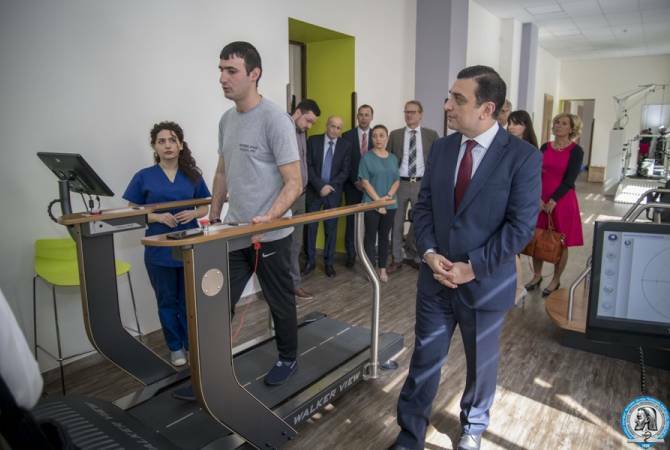 A group of German sports medicine and traumatological surgery specialists from worldwide known the ATOS Clinic group visit Armenia on September 21. Among clients of the ATOS clinic group are such sport-stars as Boris Backer and Franz Beckenbauer, Vladimir Klitschko and Dirk Nowitzki. Members of leading German football clubs are also dedicated clients of the ATOS clinic group. There are three highly respected specialists with many years of experience in their subjects and two Deputy Directors of ATOS’ branches among the arriving guests. The group consist of: Head of ATOS International Sabine Heckmann (Munich), specialist consultant International Healthcare management Anaid Jansen (Germany), Deputy Medical Director of the ATOS Clinic Heidelberg, specialist for shoulder and elbow joints, trauma surgery and sports medicine Dr. Med. Sven Lichtenberg, Chief physician for arthroscopy, shoulder, hand surgery and sports traumatology of ATOS Clinic in Cologne Dr. Med. Dirk Tenner, Chief Surgeon, Orthopedic Surgeon, International superspecialist for hip resurfacing Dr. Raimund Volker (Munich), who performs bone preserving hip replacement and Project Lead, Independent Consultant specialized in Hospital infrastructure renovation and hospital financing Naira Nacke. ATOS’ specialists are participating in series of special events and meetings in the framework of the visit. 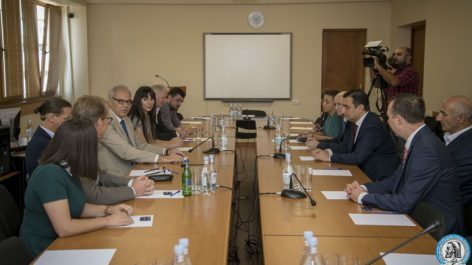 Delegation members met RA Deputy Minister of Healthcare Anahit Avanesyan, Yerevan State Medical University’s professors and rector Armen Muradyan, "My step" foundation’s representatives. 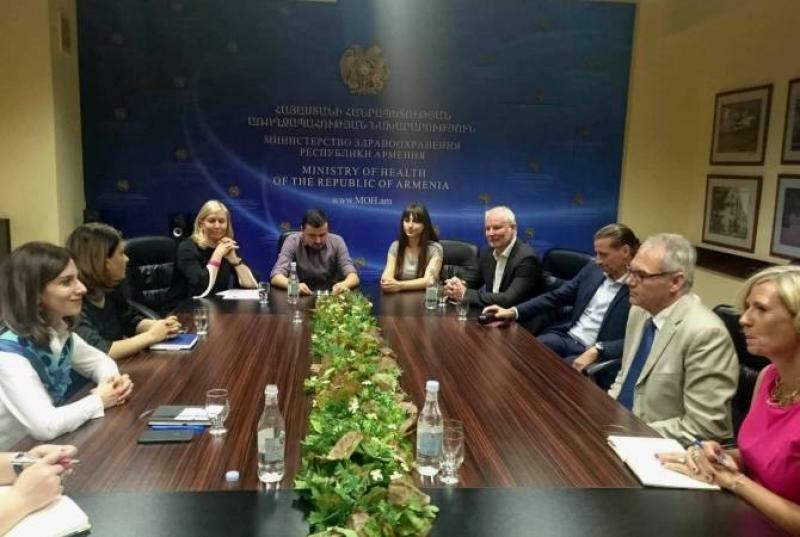 Meetings will be organized in "Wigmore" medical center, in Homeland Defender’s Rehabilitation Center at Heratsi Hospital, at National Olympic committee of Armenia and in "Hay mayrer" ("Armenian Mothers") NGO. During these meetings the ATOS’ specialists shared their professional consultations and donate medicine.